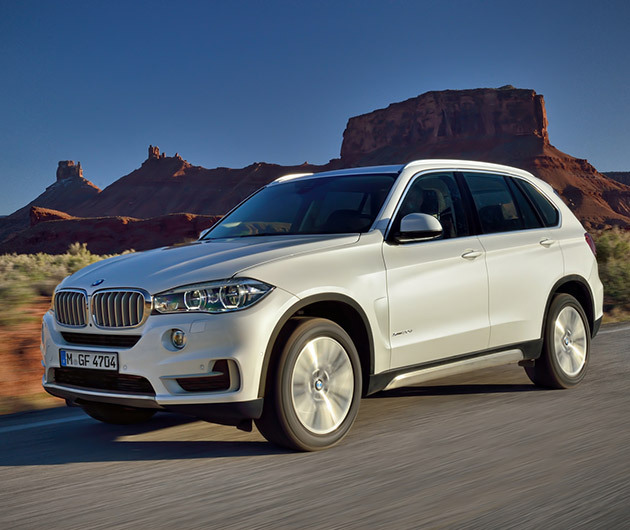 We love the redesign of the 2014 BMW X5 which, for the first time is offered in a rear-wheel drive version. The third-generation X5 comes standard with 300 horsepower and 300 lb-ft of torque, paired with an 8-speed transmission. A more powerful twin-turbo 4.4-liter V8 engine is also available that generate 445 horsepower and 480 lb-ft of torque for an impressive 0-60 in under 5 seconds.